Their mother was taken to hospital last night. TWO MISSING CHILDREN have been located after a search was launched in London. 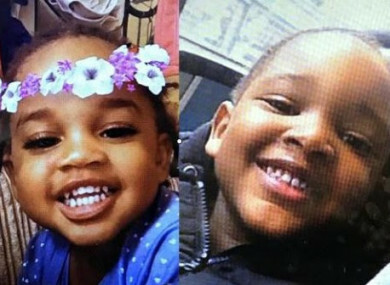 Police had earlier appealed for information to help find Tiffarah Paul-Wright, two years old, and Aiale Paul-Wright, four years old, who had reportedly been left home alone last night. At around 9.45pm yesterday the children’s mother was taken to hospital for medical treatment. Police became aware that she had two young children and immediately made enquiries to locate them at her home address. Officers visited the property but there was no trace of the children. Officers understood that the children were in the care of an adult, who was known to the children, and attempts were made to trace them. Shortly after midday the children were taken to an east London police station and are currently being cared for by officers. Enquiries are ongoing. There have been no arrests. Email “Two missing children found after search in London”. Feedback on “Two missing children found after search in London”.